Atlanta Recycling Company is a leader in the used clothing, used shoes, textile and liquidation business with over 40 years of industry experience. We build long-term relationships with our customers and suppliers in order to provide consistent product, financial and operational support. We are more than brokers. 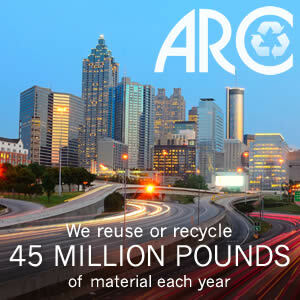 We offer you a complete recycling solution, purchasing more than just your clothing and shoes. We also simplify the recycling process by providing storage trailers and packaging supplies. Plus our in-house consultants are available to visit and share strategies to help your thrift store or charity prosper. Thank you for partnering with us and trusting us with your business!